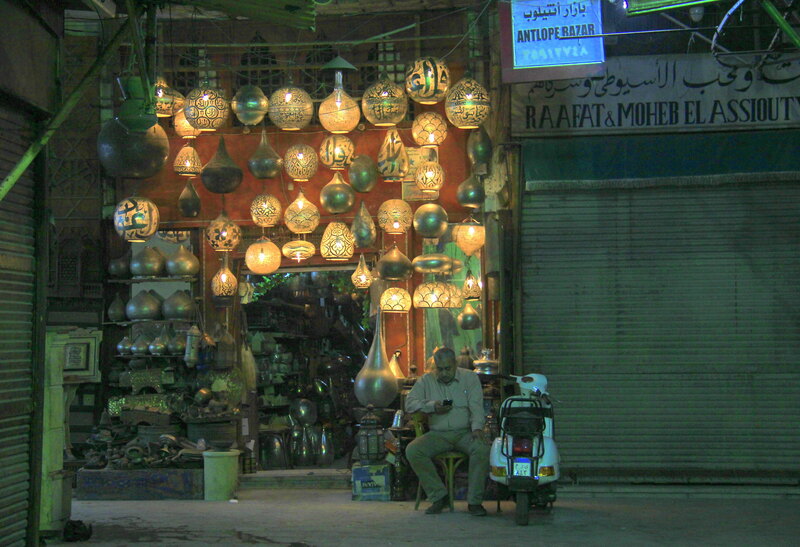 At first sight, the Khan el Khalili market in Cairo looks straight out of the Arabian Nights. Picture this. 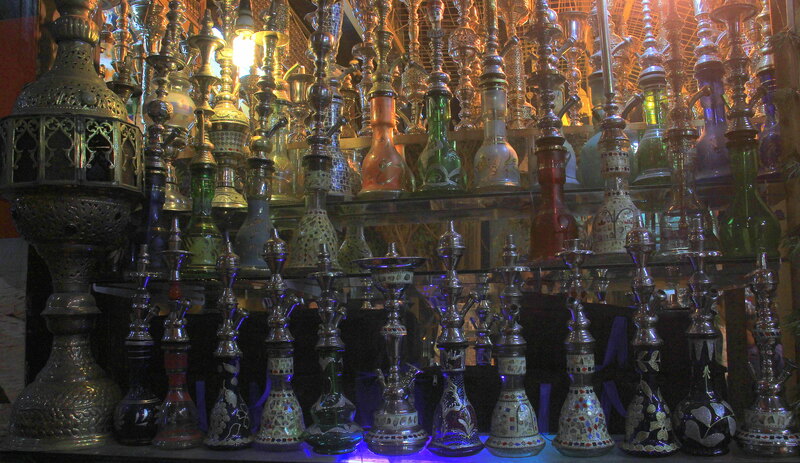 Thin winding alleys of a labyrinthine district which is lit up with a multitude of golden Arabian lamps, baubles, trinkets, silk, and spices luring you from every corner, and elaborate shisha pipes gurgling away merrily. 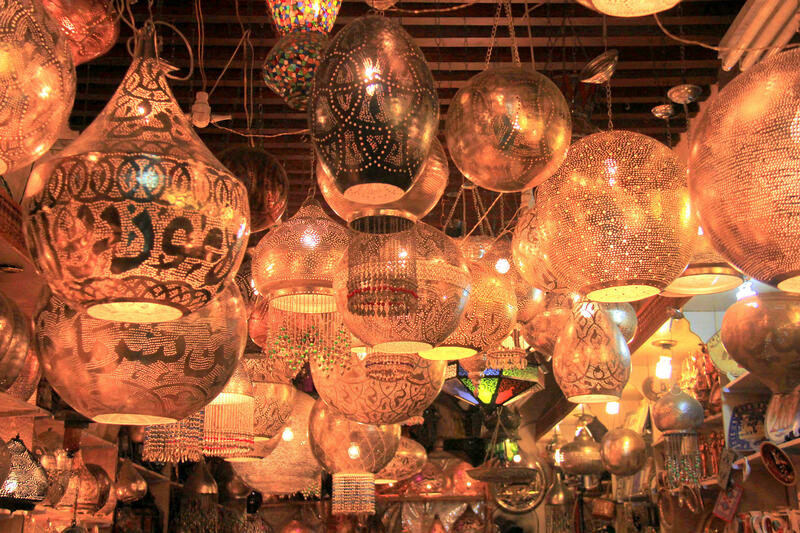 Now and then, throaty strains of some Arabian love song rises in the air along with plaintive tunes of violin and oudh and it is no wonder, that a visit to the Khan al Khalili market is a must thing to do in Cairo. 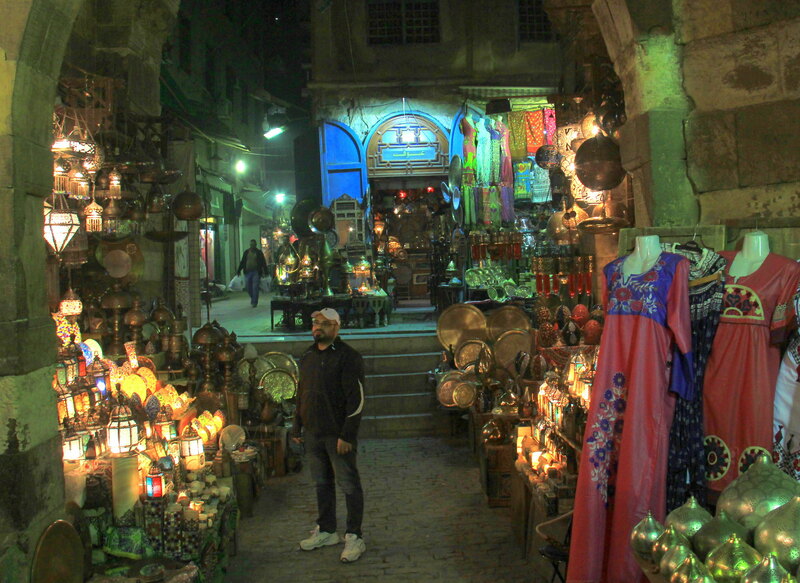 Did you know that Khan el Khalili market was originally built to serve as a mausoleum? 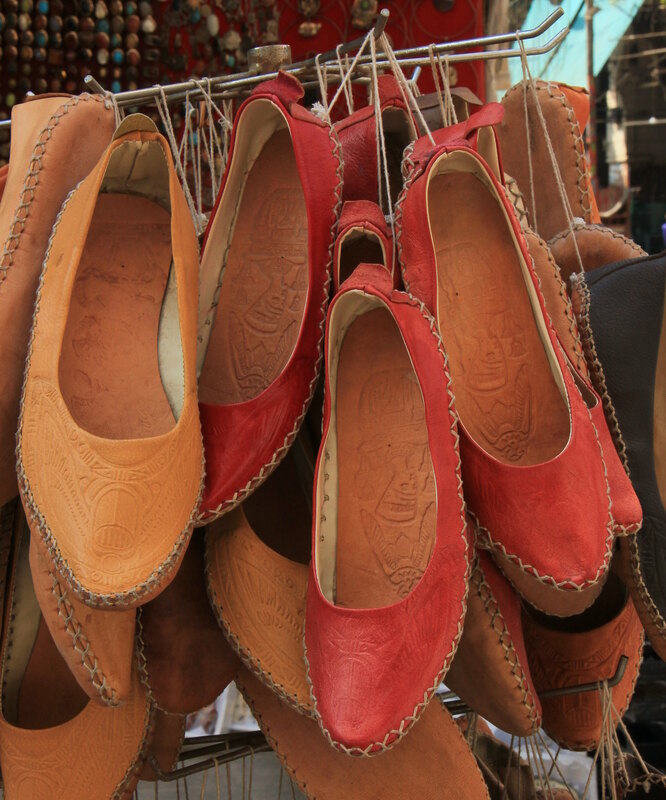 The market dates back to the 14th century when the first Mamluk sultan ruled the country. Egypt was still reeling from the devastating ravages of the Black Death at that time. Nevertheless, it continued to flourish as a major trade center and that is why many commercial properties were constructed. Being constantly on the lookout for more space for construction, he allowed his Master of the Stables, (amir akhur), the amir Jaharkas-al-Khalili to destroy the Fatimid cemetery which housed the tombs of the Fatimid royal family. Such was the harsh haste in erecting a large caravanserai on that site, that the dug up bones of the Fatimid royal family were thrown in the rubbish hills east of the city to be disposed off quickly. 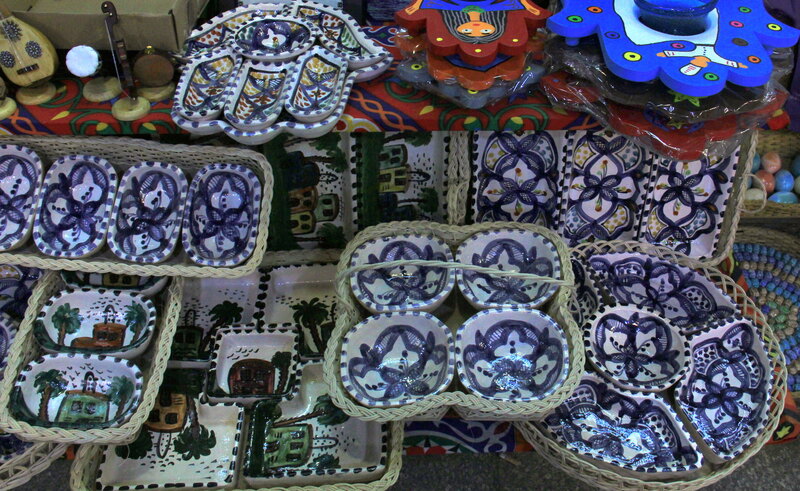 Remains of the Mamluk architecture can be seen at the market. 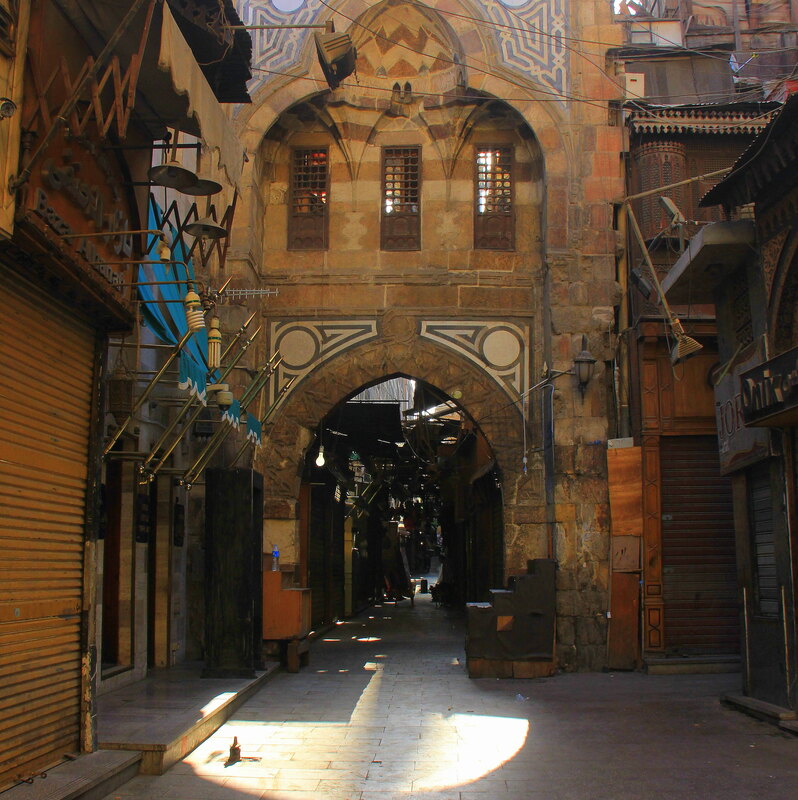 A caravanserai in Arabic is “alkhan” and the large market complex soon came to known as Khan el Khalili. Since the caravanserai was built to house the merchants along with their goods), it was located in the middle of Cairo‘s most important financial district. As an afterthought, the sultan also built many other commercial establishments nearby. These include the Sultan Qaitbay‘s wikala, which was another caravanserai and Sultan al-Ghuri wikala. 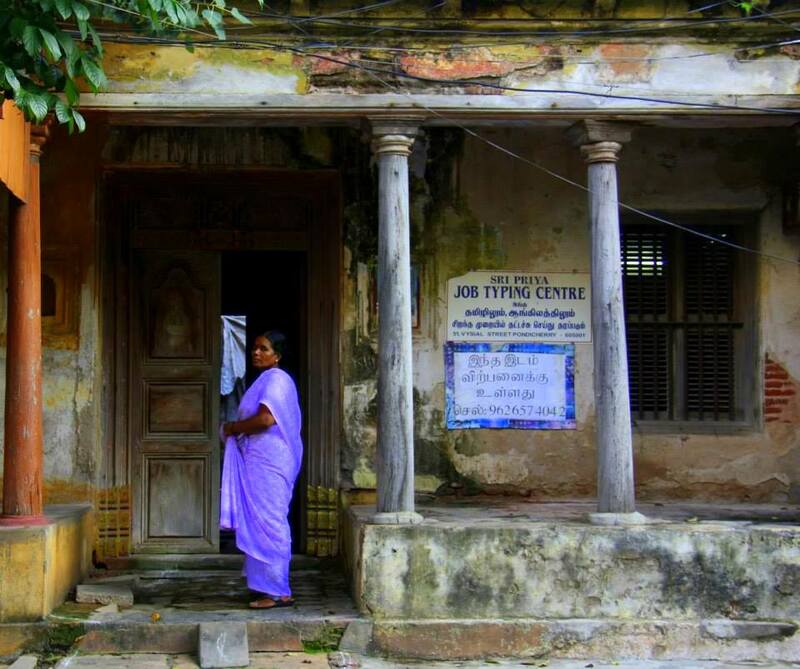 Both were resting houses for the traveling traders and this boosted the zone as a highly important commercial hub. 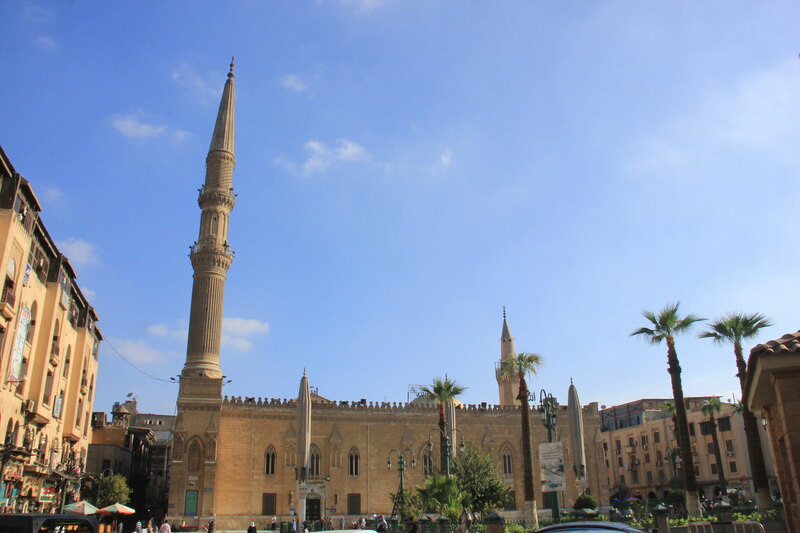 Due to its importance, this district of Cairo attracted many foreign traders from Africa and Middle East and so throughout the Mamluk rule and beyond, the site got adorned with many monumental religious buildings. By the late 15th century, the area around Khan el Khalili was booming in foreign trade which included precious stones and slaves. Egypt‘s last important Mamluk sultan Al-Ghuri gave a much-needed facelift to the layout of the whole district and streamlined the civic planning with a major demolition and construction campaign. In addition to building his own religious complex, a caravanserai, and mausoleum, he got the original khan erected by al-Khalili demolished. In its place, he established a new khan as a commercial complex with massive gates and a dense grid of parallel and perpendicular streets. The new complex was largely influenced by the examples of a qaysariyya (Turkish bedestan) where the central bazaar in which the most precious goods were traded had roofed streets and gates that locked up at night. 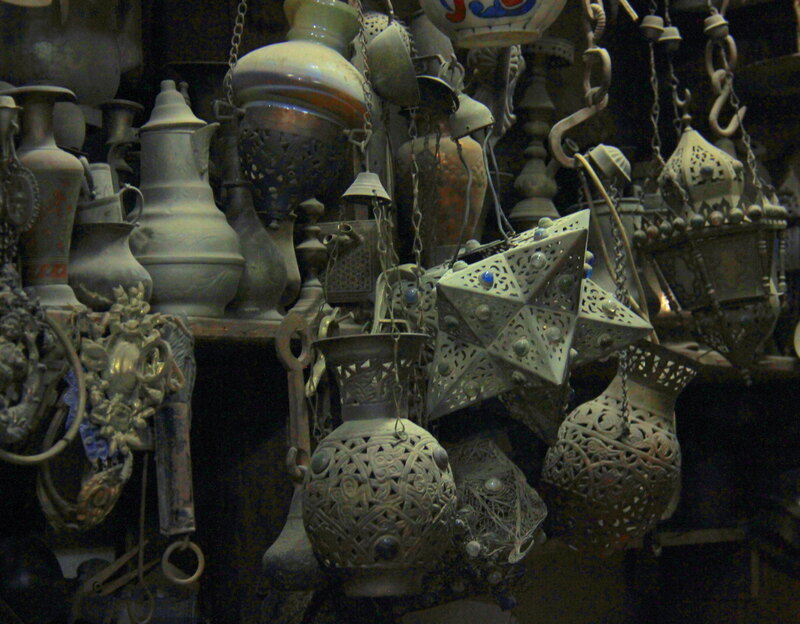 From caravanserai to a commercial complex, the evolution of Khan el Khalili has been incredible. Interestingly exactly at that in history, the Mamluk state of Egypt was a mega rival of the Ottoman Empire and the Turkish merchants were getting increasingly important in Cairo. From al-Ghuri’s reign, the district became closely associated with the Turkish merchants, and during the Ottoman rule, the Turkish community of Cairo was established there. 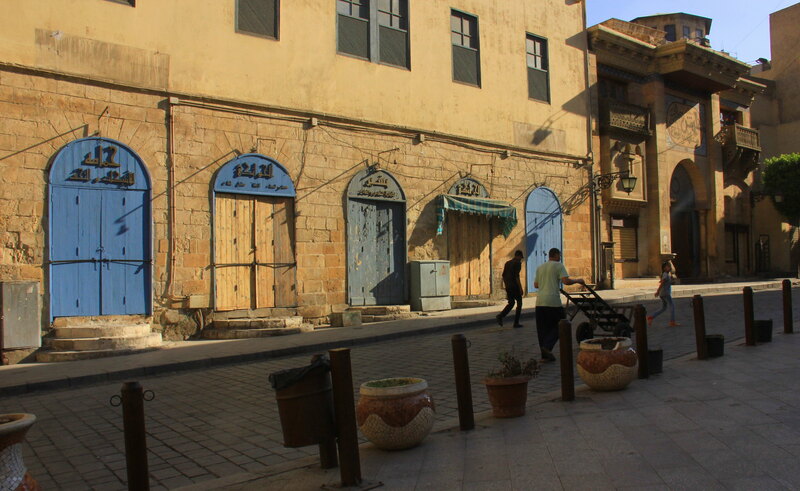 Among all of al-Ghuri‘s constructions, parts of the Wikala al-Qutn is still visible today and its ornate gate, along with upper stories of the merchants’ rooms, whose external facade is line with iron grill windows, remain well preserved. The massive monumental gates of Bab-al-Badistan and Bab-al-Ghuri which hail from that time still loom into Cairo‘s skyline like silent historical witnesses. 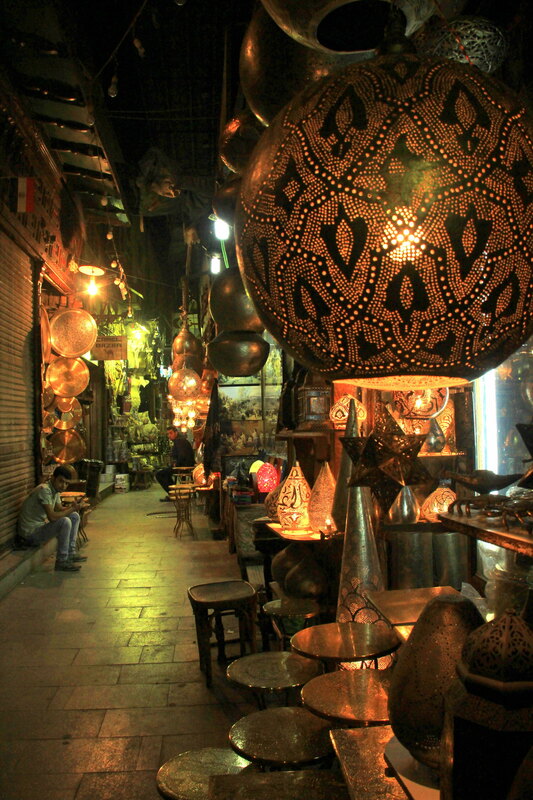 Today the Khan el Khalili is a slick marketplace which is aimed at foreign tourists. 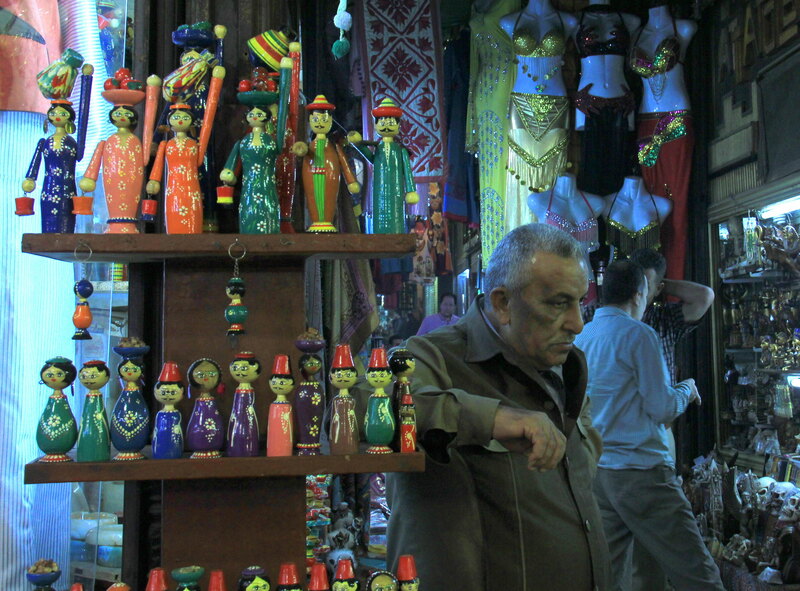 Needless to say, it is super touristy, and the traders of the great souk are some of the best smooth-talkers you will ever meet. From, random “Hello! Where are you from?” to exquisitely polite “Come and have a look, you don’t have to buy” to humourous “Looking is for free”, Khan el Khalili has some of the best pick up lines for the visitors. 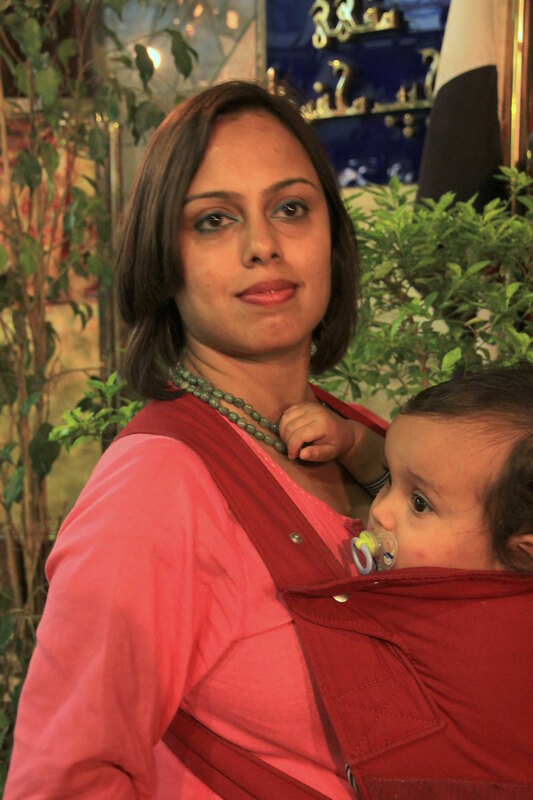 Due to my Indian features which are often mistaken as an Egyptian face, I usually get away from this Cairo hustle, except in the Khan el Khalili market. The traders who have been dealing with tourists for many generations are excellent at geotagging people and their accents, and there has never been an incident when I have not heard, “For you, it’s nearly free, since I love India”. 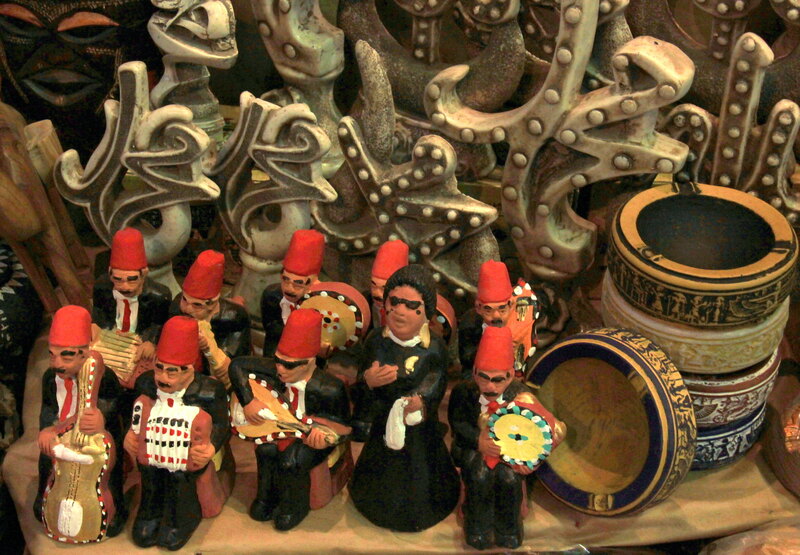 Partly touristy and much enthralling, Khan el Khalili is a must visit place in Cairo. Call it slick or simply unnerving, Khan el Khalili comes as a complete package with good, bad, and downright annoying. Almost anything can be purchased here and you can shop for soap powder to semiprecious stones, not to mention tacky toy camels and alabaster pyramids. Though significantly modernized, the souk is still very atmospheric and the original Mamluk style architecture can be seen in its great archways and vaulted ceilings. 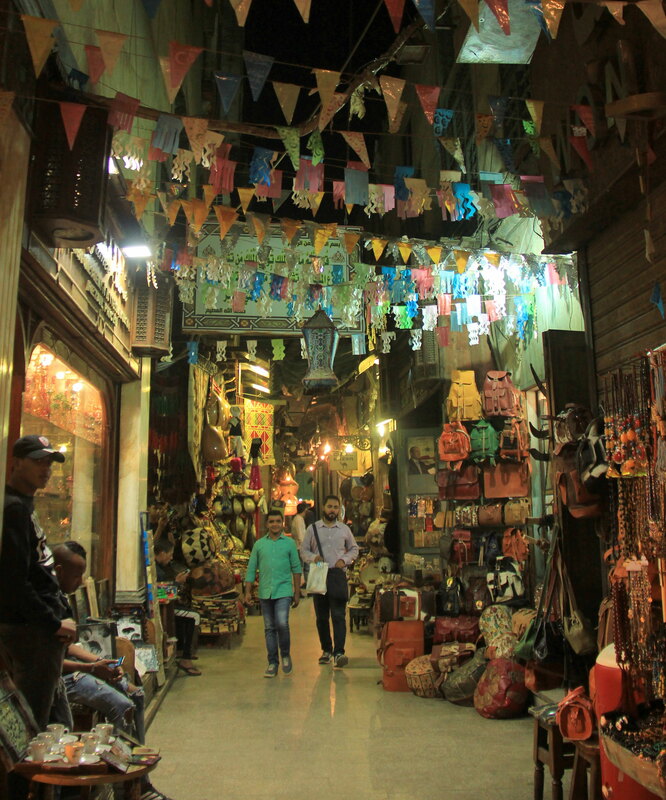 Despite being overly touristy, Khan el Khalili is frequented by many locals as well and they stick to the gold district which has been in existence since the complex‘s conception in the 14th century. Although. 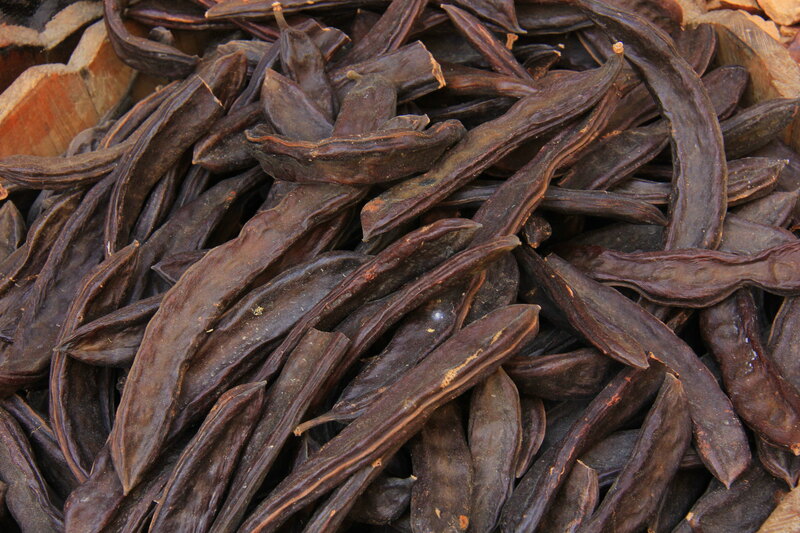 originally the khan was divided into rigid districts for different commodities, only the gold sellers, the coppersmiths, and the spice dealers areas exist today. 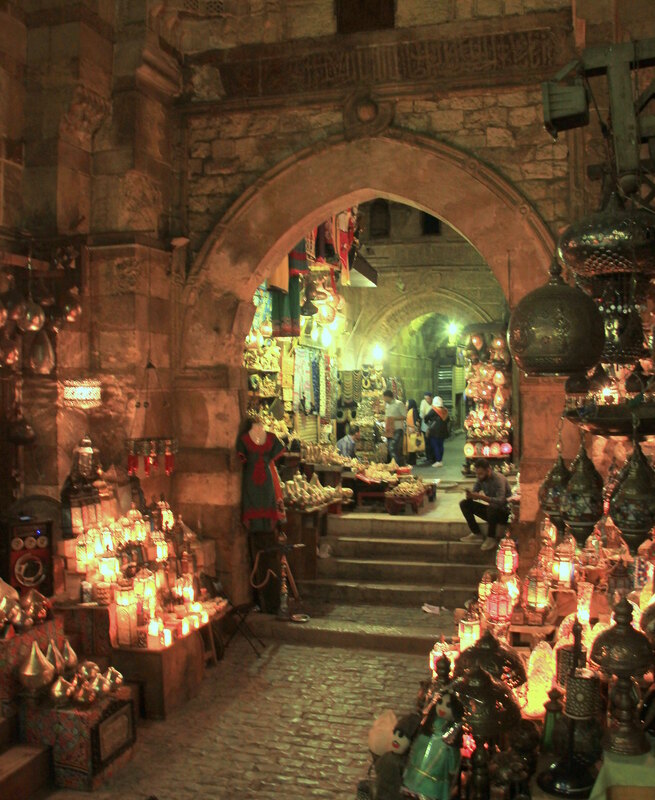 The Khan el Khalili today is a medieval style atmospheric mall. 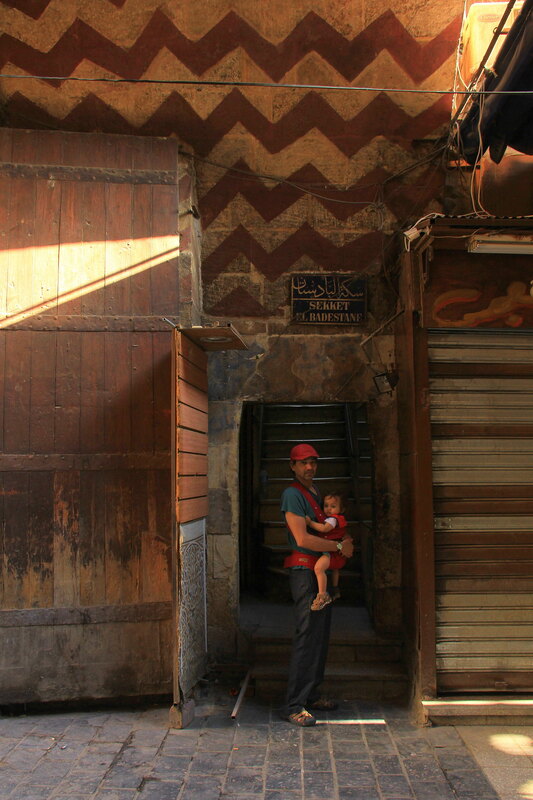 The souk‘s skinny lanes hold an agglomeration of shops which are arranged around small courtyards and most are open from 9 AM to well into midnight. 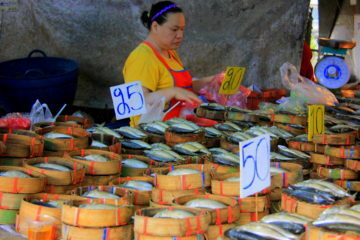 On Friday mornings and sometimes Sundays, the market remains partially closed though plenty of souvenir vendors flock there as long as there are customers. 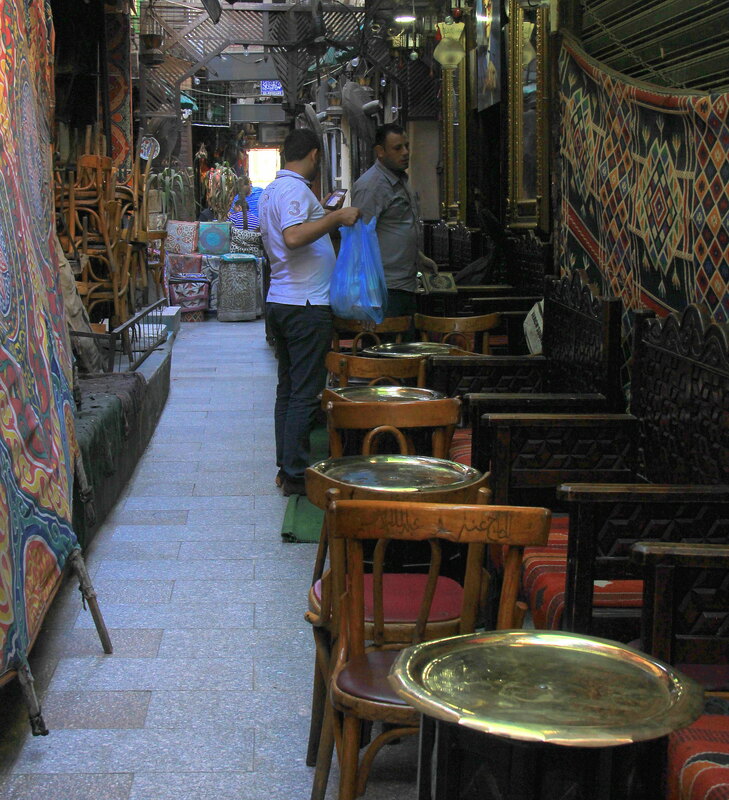 The Khan el Khalili also has several restaurants and cafés spread throughout the area, where you can take a break from shopping. 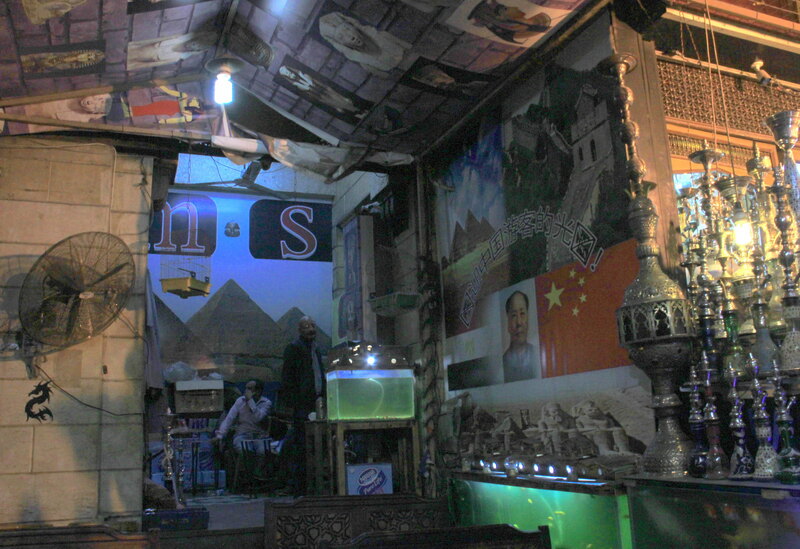 The famous Al Fishawy is the oldest café in Cairo and it is decorated with large mirrors and old furniture. An upscale cafe named after the Egyptian Nobel laureate author Naguib Mahfouz is also located there. The main market is next to Hussein Square, the garden in front of Hussein Mosque. This square also offers many cafes and cheaper restaurants, where you can sip a cup of thick Turkish coffee, smoke a shisha, and have a wandering violinist play music for you at your table. As romantic as it sounds, be prepared to say a firm “No. Shukran” to the endless stream of hawkers selling just about everything, bedraggled women and children offering tissue boxes for sale and the wailing beggars with hideous elephantiasis foot crying out in pain. 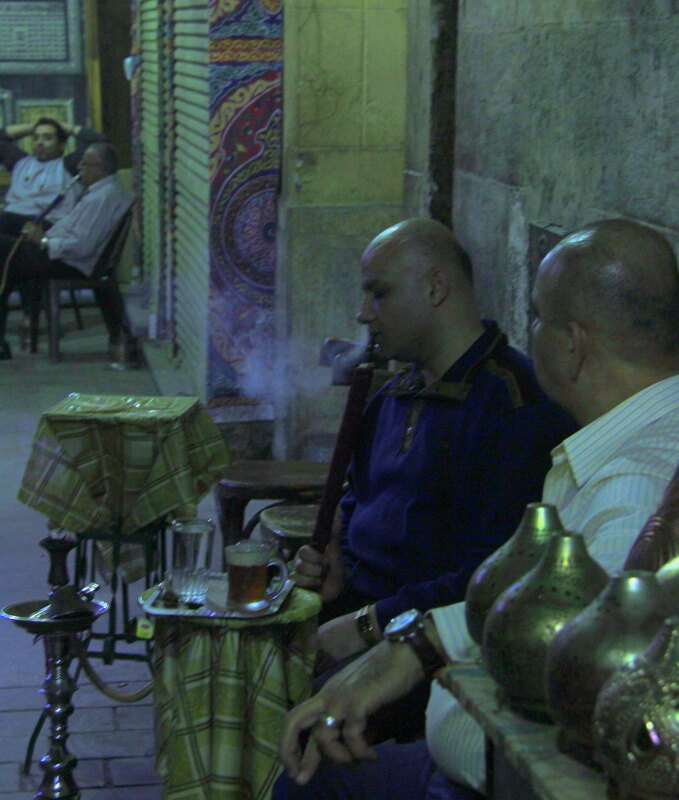 It is located near the famous Hussein mosque in old Cairo. The Khan el Khalili is unmissable. 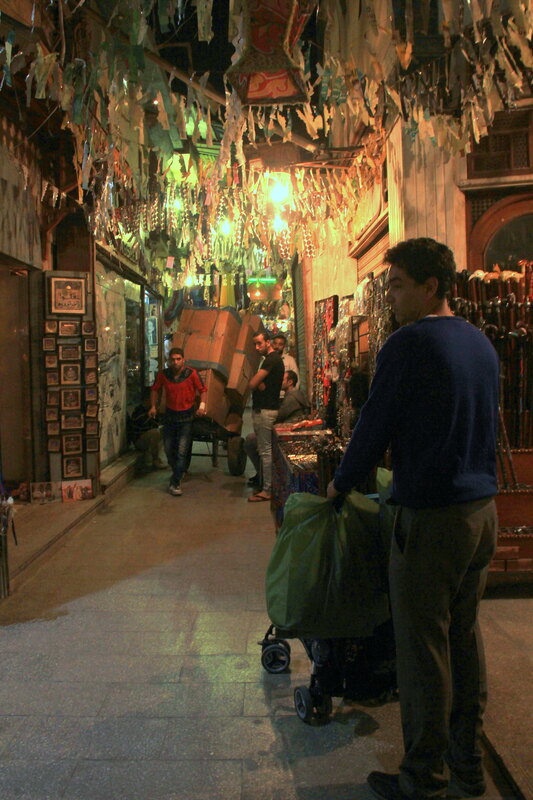 Khan el Khalili to be a tourist trap. You can buy almost everything and anything there. 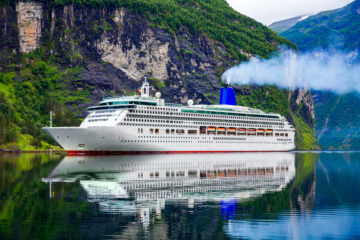 And indulge in its timeless aura. 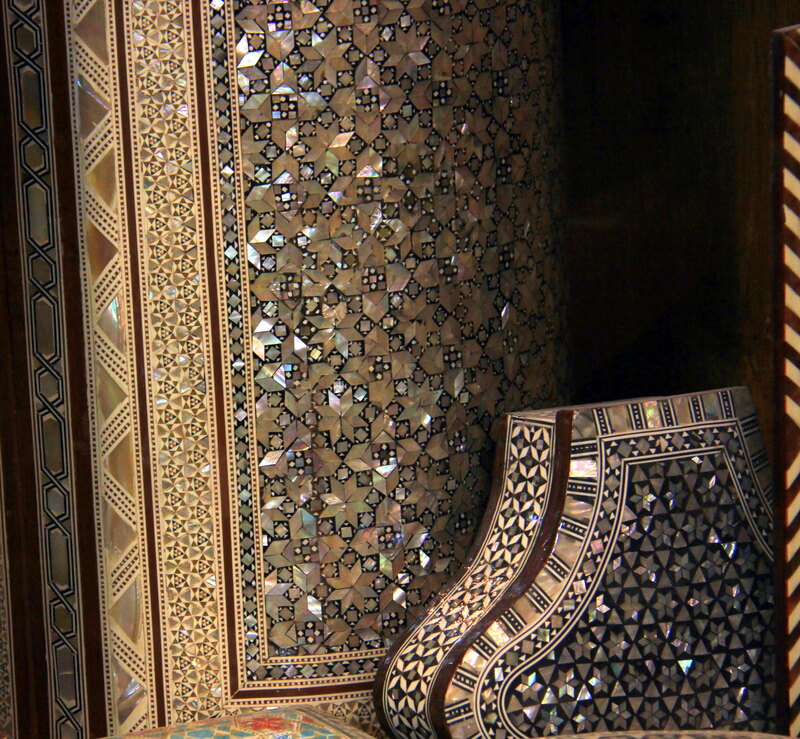 For a comprehensive Khan el Khalili guide, stay tuned the next post on the market. It‘s a treat for the shopaholics. 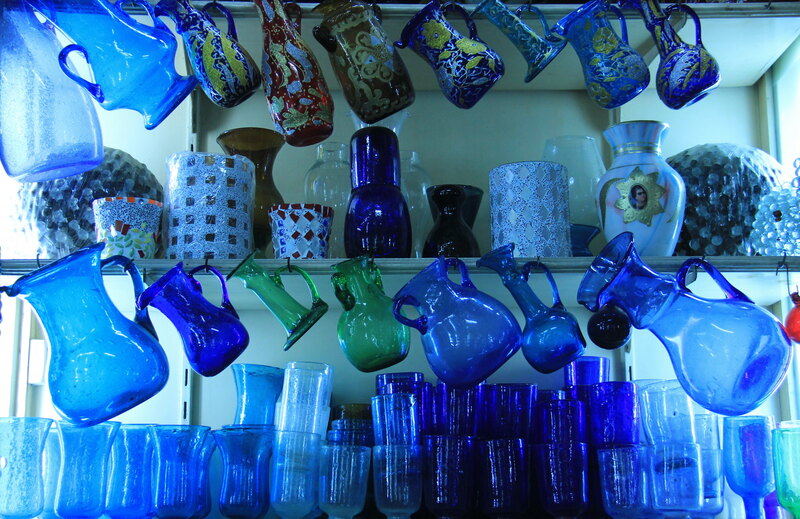 P.S – This blog post is part of the weekly series called the Cairo Chronicles. 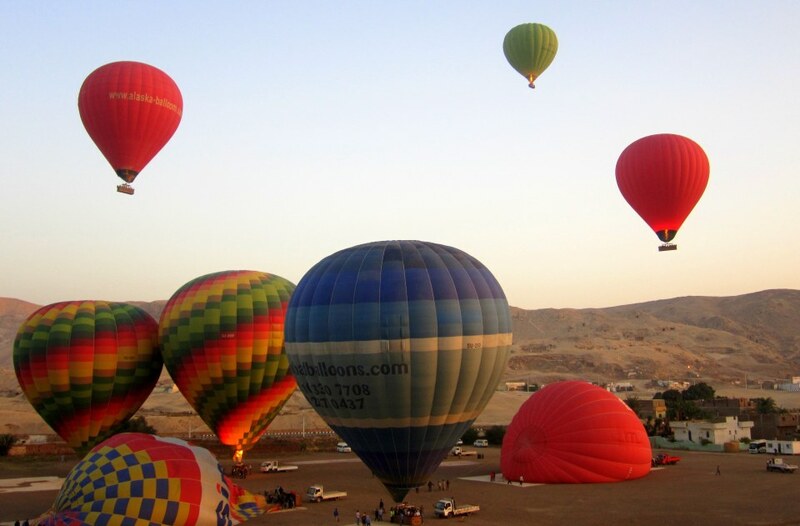 Every week, Maverickbird will take on a new theme, emotion, and beauty of an expat life in the exciting, maddening city of Cairo. Great to read about Kahan el Khalili, Amazing. Thanks for the informative post n pics. Thank you. I am glad you liked the post. It is a very interesting place. Thank you. Khan el Khalili is indeed magical in the evenings..the lights, the shadows, and the timeless aura of it are simply surreal. 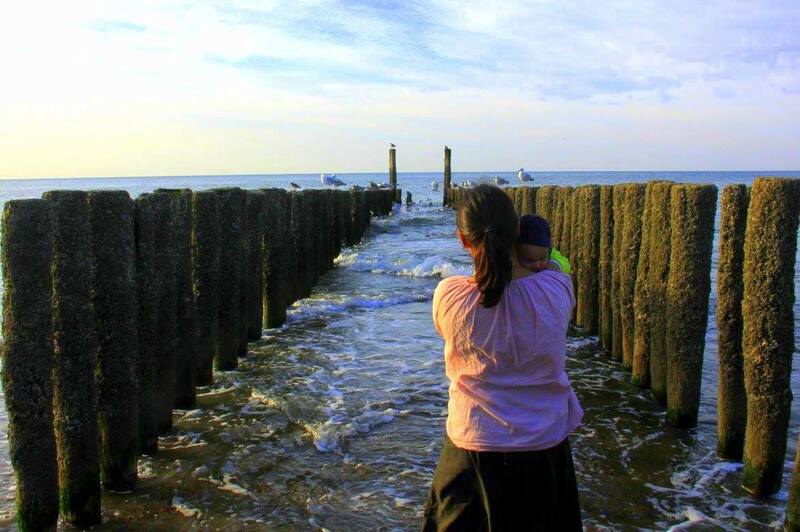 Looking is for free! :D hehe and coz you are from India! My gosh. 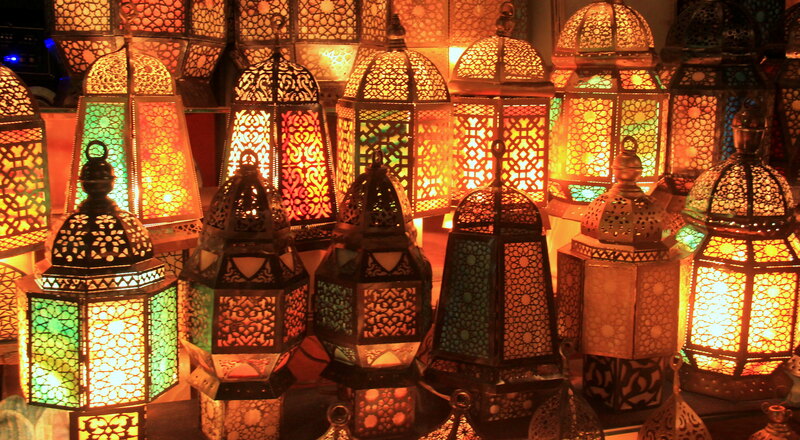 I LOVE markets and the ones in Middle East are just way too magical and truly look like the ones of Arabian nights. 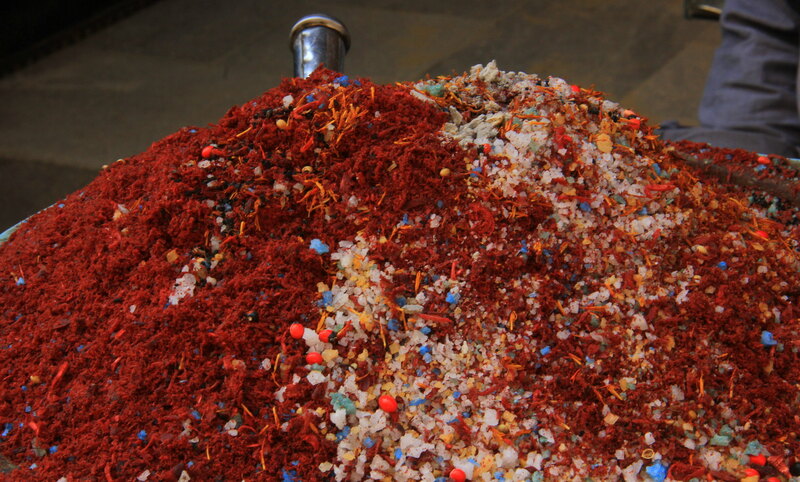 Such vibrant colours with all the sheeshas and lamps and spices! 🙂 Love the description and the handy tips of saying a firm no to the vendors. Beautiful piece as always!